By the first start of the engine after a long stop one can hear typical sounds (repeated clatter) by operation of hydraulic lifters. If the engine is operable, such sounds disappear after the engine warms up, but malfunctioning hydraulic lifters continue knocking. 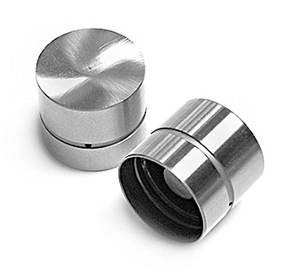 The reason for such unwanted sounds can be jet contamination and/or wear of hydraulic lifters. That is why it is necessary to clean the assembly first. This can help to find the reason of knocking: If it is the result of contamination, knocking will stop after jet cleaning. If the hydraulic lifters are worn, knocking may be stopped by increasing the viscosity of oil or replacing it by a thicker one. A more viscous oil will seal the clearances. If the hydraulic lifters are critically worn, they need to be replaced. To clean the hydraulic lifter jets, add VitaFlush – oil system cleaner into the motor oil (124 to 620 miles of run). 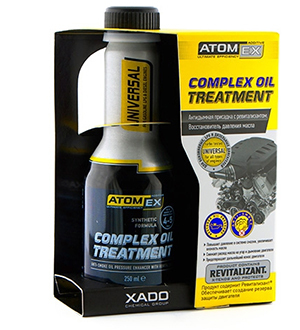 To increase the oil viscosity, use Atomex Complex oil treatment – anti-smoke additive with Revitalizant®. You can use the oil with increased high-temperature viscosity. For instance, you can replace the oil SAE 5W-40 with the oil SAE 5W-50. The experience shows that application of Metal conditioner Turbo for engine, which has soft washing properties, allows to decrease knocking of hydraulic lifters.